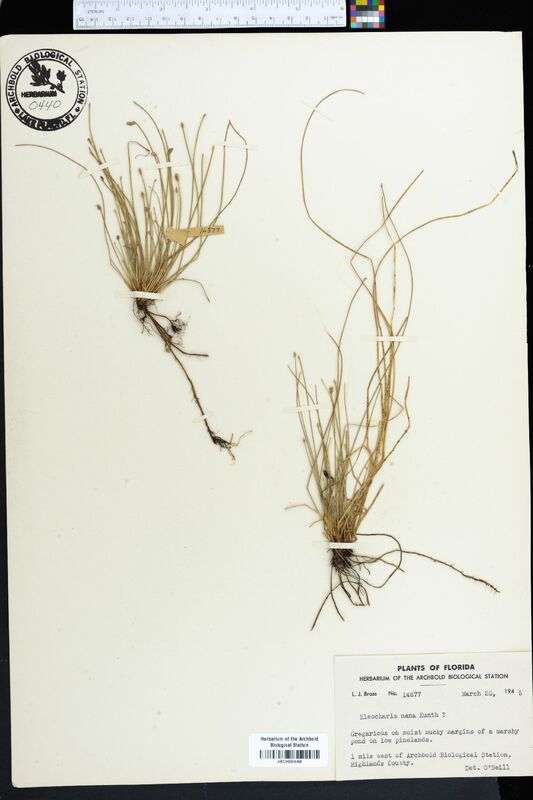 Plants probably perennial, tufted; rhizomes present, ± horizontal, 0.3-0.5 mm thick, soft, longer internodes 5 mm, scales disintegrating, translucent or not. Culms erect to ascending, ± quadrangular to pentagonal or broadly elliptic, sometimes sulcate, (1.9-)4.2-8.6 cm (extraterritorial plants to 12 cm) × 0.2-0.4 mm, soft. Leaves: distal leaf sheaths persistent or fugaceous, pale brown or red-brown sometimes spotted or streaked red-brown, translucent, membranous, apex acute. Spikelets: basal spikelets absent; never proliferous, ovoid, ellipsoid or obovoid, laterally compressed when young, but terete at maturity, 1.9-4 × 1-3 mm, apex acute, proximal scale empty, deciduous, amplexicaulous or nearly so, similar to floral scales, 0.6-2.5 × 0.8-1.2 mm, midrib sometimes slightly prolonged beyond lamina; subproximal scale with a flower; floral scales distichous or spirodistichous, (2-) 4-10, 3-5 per mm of rachilla, pale brown, spotted or streaked red-brown, ovate or elliptic, 1.7-2.2 × 0.4-0.7 mm, membranous, midrib green, spotted red-brown, prominent, apex rounded. 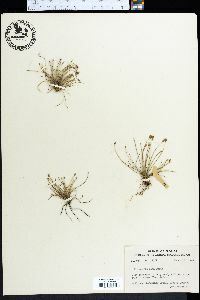 Flowers: perianth bristles 6, red-brown, equaling to much exceeding tubercle; spinules sparse, retrorse, sharply acute; stamens 3; anthers 0.5-0.7 × 0.1 mm; styles 3-fid. 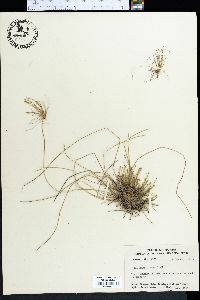 Achenes whitish or pale brown, circular in outline, ellipsoid, or obovoid, trigonous, angles prominent, 0.6-0.8 × 0.5-0.6(-0.7) mm, apex constricted proximal to tubercle, smooth. Tubercles white or red-brown, pyramidal, trigonous, 0.2-0.4 × 0.3-0.4 mm. Fruiting summer-winter. Freshwater, moist terrestrial sites such as sandy and peaty ponds, cypress swamps; 10-50 m; Fla.; South America. 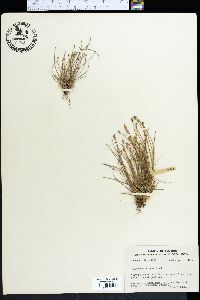 H. K. Svenson (1957) described Eleocharis nana as 'annual (-),' but the presence of rhizomes suggests that this species may be perennial.